Rydberg: Bull. Torrey Bot. Club 51: 169. 1924. Solanum ehrenbergii (ehrenbergii, in honor of German botanist Carl August Ehrenberg) is a widespread species in central Mexico. It is commonly known as cimatli, along with the closely related S. cardiophyllum. Plants take a variety of forms, from low growing rosettes to tall and erect, reaching a maximum height of about two feet. 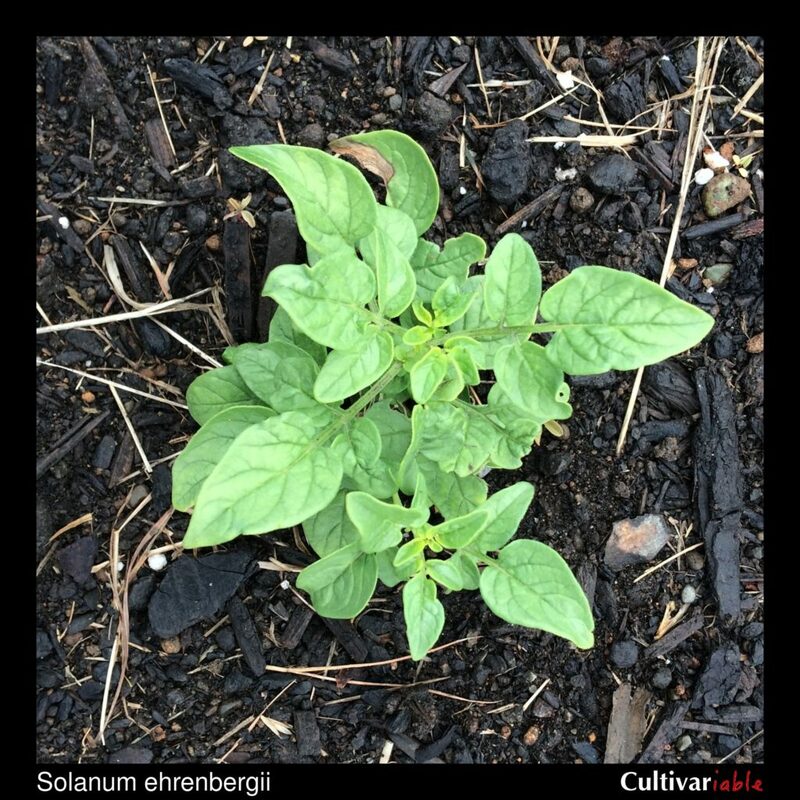 Sotelo (1998) studied the nutrition of S. ehrenbergii and found that the accessions they studied have a protein content about the same as the domesticated potato and a vitamin C level of 2.36mg / 100g, much lower than the domesticated potato. Some accessions of S. ehrenbergii appear to be edible and there was at least one farm that was growing S. cardiophyllum, S. ehrenbergii, and S. stoloniferum for market in Jalisco as recently as 2010 (Villa Vazquez 2010). This species can survive frosts down to 27 degrees F (-3 C) (Li 1977, as S. cardiophyllum). Johns (1990) found that the primary glycoalkaloid of this species is demissine and a very low concentration of only about 2mg/100g. On the other hand, Sotelo (1998) found a level of 108mg / 100g for solanine and chaconine, a level far into the danger zone. So, some accessions of S. ehrenbergii may be as safe to consume as domesticated potatoes, while others are dangerous. Caution is always warranted when trying new varieties of any wild potato species. I have found this species difficult to germinate. It may require conditions different than the standard for S. tuberosum. 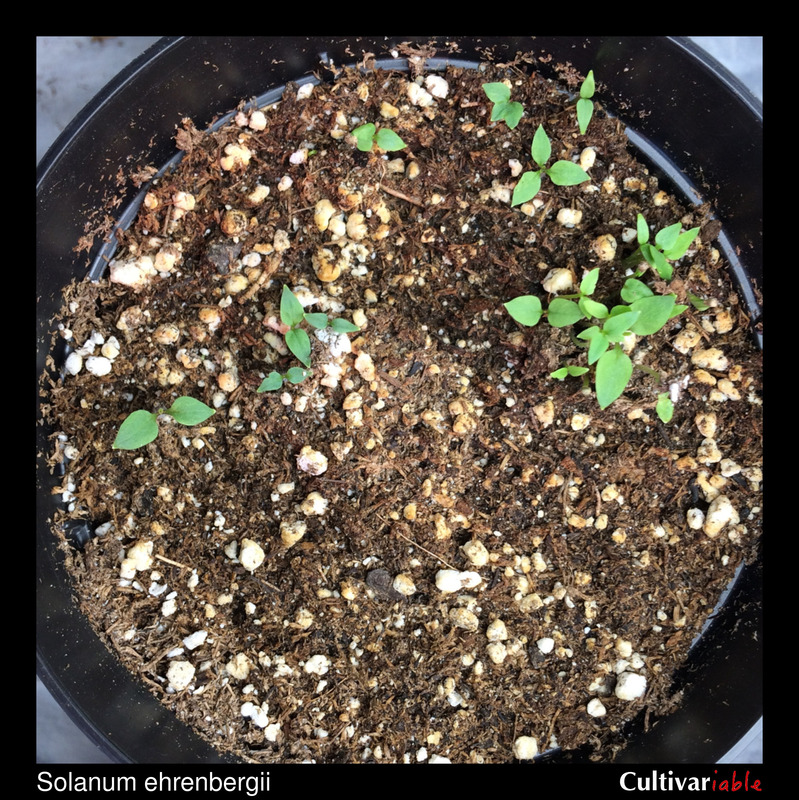 Bamberg (2017) found minimal improvement in seed set in this species with supplemental applications of liquid fertilizer at four and seven weeks after potting. This species typically has about five months of dormancy.